As a dog owner, there are few things less unpleasant than a dog with diarrhea. It can be messy, smelly, and it can create a lot of work for everyone in the household. However, to solve an immediate problem, scroll down to find out how to fix occasional and frequent diarrhea quickly. Your dog obviously does not feel much better than you do about it, and so making changes that will help determine what caused the diarrhea in the first place and being able to fix it are important. Most people have no idea what causes diarrhea in their dog, and therefore have no real reliable way of treating it. There are many different reasons why dogs have diarrhea occasionally, but if your dog has diarrhea on a very regular basis, then the chances are that they have an underlying health issue or their diet is causing a digestive problem for them. Irritable bowel syndrome is very common in some breeds, as are food allergies. It is possible for a dog to suddenly become allergic or intolerant to even the most basic foods such as beef, chicken, or fish. Because of the high percentage of process grains and complex carbohydrates in many processed foods, more and more dogs are becoming allergic to grains and commercial food in general. Even though you may believe that the only symptom of diarrhea is loose watery stools, there are other symptoms that you should be watching out for. If your dog suddenly wants to be let out in order to go to the bathroom all the time, or they are unable to control their stool and normally this is not a problem, then it may be that they are suffering from diarrhea. Other dogs will actually appear as if they are constipated because of the way they seem to be forcing themselves to the bathroom. If your dog is unusually lethargic, is suffering from a lack of appetite or appears feverish or dehydrated, then these may be symptoms of diarrhea. In many cases, dogs with diarrhea are experiencing a natural reaction to a change in their diet or some other trigger, but that is not always the case. It is important that you identify the cause of dog diarrhea if you can, especially if it is recurring on a regular basis. Just like humans, recurring diarrhea is a serious problem and is often a sign that there is a more significant issue going on rather than just a mysterious dietary issue. Can You Stop Dog Diarrhea? In order to prevent diarrhea in your dog, it’s important to make sure that you keep an eye on what they are eating. 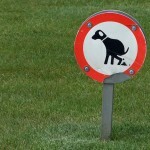 If your dog is outside a lot, then dirt, grass, rocks and dead animals can easily become the primary cause of diarrhea. If you have houseplants, then this can also be problematic, although this is more often the case with cats than it is with dogs. There are other basic things that you can do in your household that will help your dog from getting into trouble, such as making sure that you keep a clean house and clean bedding so that they do not accidentally ingest items that are not necessarily food. It also goes without saying that feeding your dog inappropriate leftovers or allowing them to lick the plates after dinner covered in rich sauces and spicy food can cause diarrhea. Fast your dog 12 – 24 hrs (toy breed 12hrs, larger dogs 24hrs) This is to empty the system otherwise as you probably know, if you eat while suffering diarrhea you’ll set it off again! If your toy breed gets a little trembly, give a lick of honey from your finger every hour. Always have fresh filtered or bottled water at all times. If you can add a sprig of fresh mint, this helps to encourage the dog to drink and settle the delicate digestive system. After a 12/24 hour fast and the diarrhea has stopped, you can begin to introduce your dog to some bone broth (this one is excellent for dog health – freeze the extra for next time) with a pinch of Himalayan Mountain salt (Excellent health aid with full spectrum minerals your dogs currently missing). This will quickly bring your dog back up and lift their spirits. If your dog now seems fine having sipped on the broth several times over the next 6 hours, you can begin to introduce food again. Before reintroducing your dogs regular diet, make up your own pumpkin mash or buy in some Firm Up – amazing suff! add some of the broth you previously made to it along with some of your dogs regular food and serve. A meal or two of this should see your dog return to normal. Himalayan Pink Mountain Salt (This one is pure, fine ground, very cheap surprisingly for how much you get, has thousands of happy reviews and will last years. I highly recommend you use it for the entire household). For dogs that suffer diarrhea all too often, I highly recommend Firm Up. It’s a dried apple and pumpkin fiber digestive that’s proven very effective with dogs and cats and they generally love the taste. It’s simple to add dry to your dogs food, but I recommend you premix it with water or broth if your adding it to kibble to get more moisture into your dog – important! In combination with the firm up, I highly recommend you help line your dogs entire digestive tract with slippery elm bark to help protect their digestive system – very important! Follow the directions for occasional diarrhea, fast your dog for 12/24hrs and then for large dogs, mix a 1 rounded Tbsp. of Slippery Elm with eight oz of cold water and bring to a boil on medium high heat. You then reduce heat to low and simmer for 3 minutes. Remove from heat and add 1 Tbsp. of raw honey. Give from 2 to 4 tsp. every 4 hrs. It works like a charm. 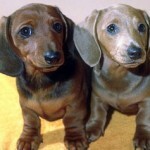 For medium dogs, half the amount and for small dogs a quarter of the amounts given. If your dog gets diarrhea all too often with complications like lethargy, fever, bloat or blood in the stool and you want to stop it, my best advice is to see a holistic practitioner to remedy the underlying cause, or transition your dog to a healthier diet. If your dog suffers diarrhea or sloppy stools all too often, it’s definitely a diet related issue. What your currently feeding them is just not agreeing with their digestive system. 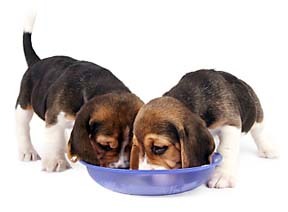 An excellent quick fix while you decide a new diet direction is to add some probiotcs to each meal – it works wonders to regulate digestion in 9 out of 10 dogs. When you add probiotics to your dogs diet, they will help repopulate the intestine with new healthy bacteria. The intestine is home to 80% of your dogs immune system which operates as their central defender to invading viruses and bacteria. The introduction of good bacteria boosts the immune systems strength helping to heal gastrointestinal problems and a sensitive tummy. Probiotics help to maintain the mucosal barrier which lines the gut wall and enhances cellular repair. Veterinary antibiotics don’t distinguish between good and bad bacteria, so if your dog’s been taking an antibiotic, the good bacteria in his gut will be damaged causing further health problems. Probiotics will restore the good bacteria population and prevent yeast infections. Dogs with the following health problems will benefit greatly within a week or two of taking probiotics. If your vets recommending Apoquel for allergies, use probiotics instead to avoid the side effects of this toxic pharmaceutical drug. Simply add a tiny scoop of dormant live bacteria – powder – to your dogs food and they become active once consumed. You want a probiotic with as many species of good bacteria as possible with 2 billion CFU’s per scoop and not made in China as the standard is not verifiable and often contains animal digest and sugars. Powders are best and simply added to food. It has an excellent class leading count of 22 species of bacteria. USA made at a certified GMP lab in small batches for freshness. It includes enzymes critical to senior dogs especially and reduces gas. It includes a prebiotic inulin base which helps to feed the probiotic bacteria. 100% satisfaction refund with excellent customer services and after care customer follow up – genuinely caring people! At one scoop a day it will last 6 months although for very small dogs 12lbs and under I’d go with a half scoop so it will last 1 year. If your dog has an unusual bout of diarrhea, then there is nothing wrong with having them abstain from food for a minimum of 12 hours. 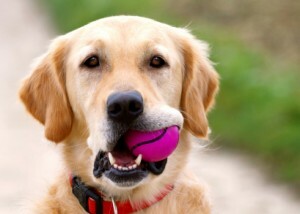 Any dog larger than toy size is better fasted 24 hours. Simply allow them to drink as much water as they like, and then after 12 to 24 hours provide them with a very bland diet that consists primarily of an equal mix of lean turkey and pumpkin or sweet potato. By combining these two ingredients together, you will have a moderately low fat yet fairly high-fiber meal that should settle your dogs stomach. In addition to this kind of dietary change, you may also want to consider giving them a small dose of slippery elm with each meal. Slippery elm acts to settle the stomach and sooth the GI tract. For every 10 pounds that your dog weighs, give them half a teaspoon of slippery elm, which will help to settle their stomach. If you do not see a change in your dog’s diarrhea within three days, then you should definitely take him or her in to see a veterinarian. Is It Safe to Change Your Dog’s Diet? If you are going to change your dog’s diet to something that is natural, unprocessed, and higher in the nutrients that he or she needs, then this is a change that needs to be made on a gradual basis in order to avoid diarrhea. Rather than suddenly changing all of their food one day, it is usually a better idea to adjust the mix of food over the course of a week or two. You can do this by introducing 10% or 20% of the new food with the old food, gradually increasing the new food every day. 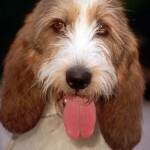 By doing so, you will avoid one of the many causes of diarrhea in dogs, which is a sudden change in diet. The diet I feed my dog for a resilient healthy digestive system and strong balanced immune system with virtually no stomach upset or bowel upset is a raw food diet. The combination of highly nutritious food, correct water intake with balanced fats and proteins and no artificial additives keeps the dogs system in peak condition. There is no gradual buildup in toxins that leads to long term chronic disease and a weakened immune system. And it’s a weakened immune system that allows the inappropriate consumption of foods to cause diarrhea. And on the whole mass produced commercial dog food in cans and packets does weaken the dogs immune system and if your dog eats kibble or canned dog food regularly and has intermittent diarrhea or occasional longer bouts, look to the diet as the underlying cause. 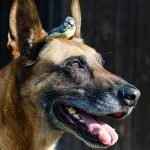 For more on food choices for your dog and a greater understanding of your dogs needs for great health and wellbeing, get the free in depth report below, it will really help you to help your dog to be healthier, stronger and happier. How to Treat Dog Diarrhea One Time for Life! When you consider all the junk that is going into the recipe for packaged pet food, not only are you taken aback, but you begin to understand how easy it is for dogs to get sick. My friend’s dogs get so excited once a day – at dinner time – because she prepares a raw food meal. When I see them get so excited, I wonder is this them rejoicing because it is a relief from being forced to settle for dry food. Hi Allen, I know what you mean about the dogs being excited and for my dogs experience, he may well be getting excited because of the feeling the raw food gives him as sometimes he does a kind of victory lap after meals as if he’s bursting with energy and that ‘I feel great’ feeling. Thanks for a great comment. I had a dog that I think was allergic to something in the dog food he ate but it wasn’t apparent in his stool it was because of the way his skin itched all the time etc. we changed his food but it was too late in his life I think, so when we got our puppies we decided to feed them better food from the beginning it still is not good enough for me though. Your dog’s digestive system is an amazing mechanism that takes in food, grinds it up, and converts it to nutrients that can be absorbed and used by your dog’s body. The digestive tract converts food into all the nutritional building blocks your dog needs to grow and develop. Every now and then, however, something goes awry with this complex system. I used to think it happened when you feed dogs human food; Little did I realize it’s quite the opposite. Allen if it makes her dog feel this great then this is something that I might have to look into for them because they sure don’t get excited to get the same food every day for months on end. I guess I wouldn’t either though, I have to start thinking of my dogs as myself and feed them what I would want to eat not that nasty stuff. Someone said to me that 7 out of 10 dogs are sick in one form or another. If this is the case, we either have to accept it as a reality among dogs or not accept it and start to do something about it. 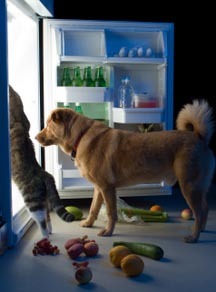 We have to take a real close look at the foods that are being sold and fed to pets across the world. We have to hold the pet food companies accountable. Well said, Jose. We do indeed have to hold the pet food industry accountable. In the mean time until change happens we must take control of our dogs diet and feed them some fresh food just like we do with our kids. Well said Jose, it’s as simple as that when you look at it this way. Hi Todd, yes we got it backwards. Dogs are 15 to 40 million years in the making which did not include kibbles! They may have a robust system but it can only get them to 12.5 years old on average from consuming fast dog food when fresh food see’s them to 17 on average. Hi Richard, at least your learning and your new best friends are benefitting from your wisdom. Let me know if I can help further with the diet. My name is Danielle, and I have a 3.5 year old staffordshire/American bulldog. I weened her off of commercial dog food about a year ago. She now ears a variety of muscle meats, fruits and vegetables. I plan to take her into the vet soon to do her blood work to see how her diet is effecting her. I live in Iowa, so every vet i have called is not knowledgeable in the “raw” diet/doesn’t recommend it and there are virtually no nutritionalists here. Any recommendations for what she should be eating? Any bones I should be encourporating etc? Hi Danielle, your question is confusing because you say you feed a variety of meats, veg etc but then ask what to feed her. Feed 3-4 types of meat on the bone. 10% veg and 10% organs. Go by how your dog looks and feels and if that’s great keep going. You can always get my book to fine tune the diet.